I am at a time of crossroads in my life and I went out looking for a book that would speak directly to me in this time of unsettledness. I remembered reading some of Sugar’s posts on The Rumpus after I read Wild so I thought why not read Tiny Beautiful Things? I’m glad I decided to, because Sugar’s voice was what I needed, what I still need. I cried more than once reading her responses to the letters she received. The stories that arrive to Sugar, first on The Rumpus and now in Tiny Beautiful Things come from people who are often is positions very similar to mine – they are in a state of flux, they have a relationship in a bad place, they are lonely, they are overwhelmed, they are angry, they are sad. Through her thoughtful and inspired answers Sugar pulls from the deep well of empathy in her to provide both answers, but also the questions that we need to be asking ourselves as we move through the journey that is building our lives. Cheryl Strayed, the no longer anonymous Sugar, credits this place in side of her from which the empathy pours as being her best legacy of the woman her mother raised her to be. 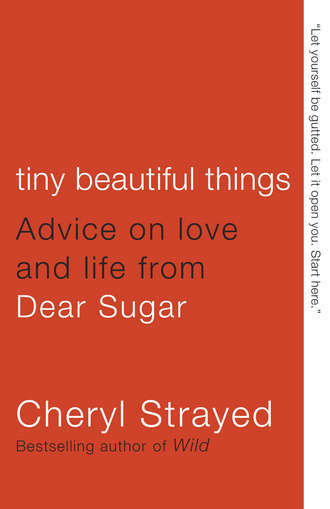 And we learn a great deal about Cheryl’s parents, her upbringing, her marriage and her life as we progress through the book, since Sugar tends to explain why her experiences are impacting her answer to any given query in a certain way. I’ve seen other reviewers see this as a detriment, but I don’t. There’s a certain level of honesty, of understanding, that Sugar is able to deliver in her missives that would be missing if she didn’t lay herself bare in the writing. Tiny Beautiful Things reads much more like a book your best, most wise friend wrote to you to take you through the hard times. And don’t we all need that? I don’t know that I’d suggest this book to everyone, even though I’m rating it quite high. First, not everyone is a Cheryl Strayed fan, so if you didn’t particularly enjoy Wild then this one is likely not for you. Second, you as a reader probably need to be in a certain place in your life to fully immerse into this book. Otherwise it might feel like too much, all the sadness, and loneliness that covers these 350 pages might weigh too heavily on you. I suggest looking up some of Sugar’s columns and giving them a twirl before committing to the book. But if you too are in a place of needing a sister-friend, then this one might be for you. This may be one of my favorite books of the year so far, which makes sense as it is the sequel to one of my three favorite books from last year, The Gods of Gotham. 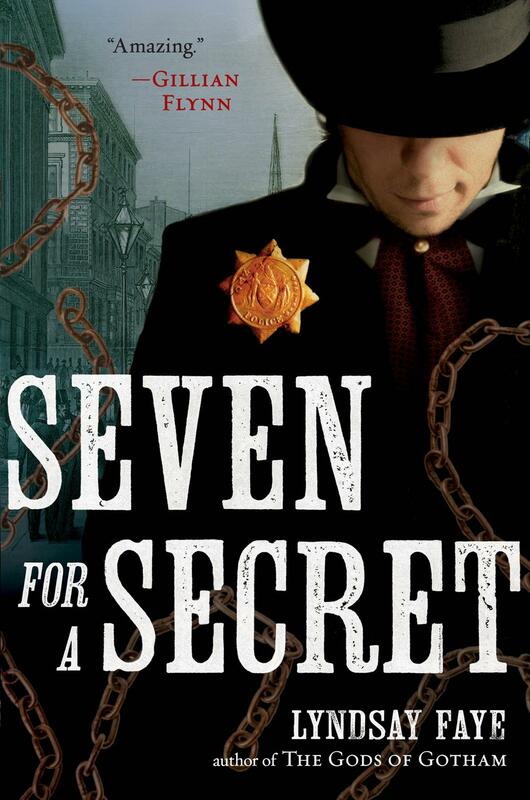 Seven for a Secret finds Timothy Wilde six months removed from the events of the first book set up as an unofficial detective for the newly formed New York Police Department, known more familiarly as the Copper Stars. Each book is based around a central mystery, and the one in Seven for a Secret revolves around the Fugitive Slave laws and the Blackbirders who enforce the law by capturing fugitive slaves as well as free blacks who were essentially kidnapped as part of this cultural milieu. We meet three light skinned blacks living in New York, Lucy and Jonas Adams and her sister Delia Wright. Lucy returns home to find Jonas and Delia kidnapped, and the book jumps off from that point as Lucy goes to Timothy Wilde to find her family. I won’t go any further into the description of the plot, as to attempt to untangle it would likely only serve as confusing. Like its predecessor Seven for a Secret is full of the things I like. Well thought out and executed plot points, well drawn characters, and historical relevance. Lyndsay Faye continues to elucidate the 1840s through quotes of primary sources at the beginning of each chaper (including Twelve Years a Slave by Solomon Northrup) in order to highlight what New York, and to a greater extent the United States were like, over 150 years ago. What keeps me from bumping this one up from 4.5 stars to 5 is that the strong character of Tim seems to evaporate in the third quarter of the book. Timothy Wilde is a character who is observant and quick, but much of the action in that section of the book relies on Tim getting things wrong, and not noticing things he should. It helped keep me in the dark as a reader, which is I gather what Ms. Faye was after, but after The Gods of Gotham and the opening chapters of this work where I was so excited to have this character back in my head, it felt like a letdown. With that said, read these books. Read them in order though, because characters and story lines carry from one to the other. An almost forgotten classic though a founding text of Victorian middle-class identity, Mrs. Beeton’s Book of Household Management is a volume of insight and common sense. 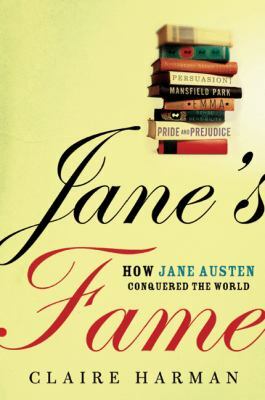 Written by what one might now describe as a Victorian Martha Stewart, the book offers advice on fashion, child-care, animal husbandry, poisons, and the management of servants. To the modern reader expecting stuffy verbosity or heavy moralizing, Beeton’s book is a revelation: it explores the foods of Europe and beyond, suggesting new food stuffs and techniques, mixing domestic advice with discussions of science, religion, class, industrialism and gender roles. Alternately frugal and fashionable, anxious and self confident, the book highlights the concerns of the growing Victorian middle-class at a key moment in its history. This abridged edition serves as a cookery book, while documenting a significant aspect of Victorian social and cultural history. Where to start with Mrs. Beeton, where to start. 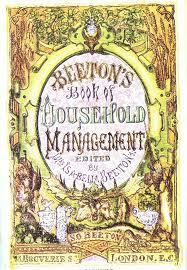 Mrs. Beeton’s Book of Household Management is the same sort of book as Mrs. Seely’s Cook Book which I reviewed previously for the CBR. It’s a book which in seeking to indoctrinate the new middle class with the methods of a high-born life also serves as a window for those of us looking back. Unfortunately for me, I enjoyed Mrs. Seely’s Cook Book quite a bit more. Originally published in 1861, this book predates my era of research (1880-1920) but it shows the basis for the expected social order of the High Victorian Era. It is an easy read, once you settle into it, although it is very, very long. Each section is short though, and provides an easy way to work your way through. I was able to read the portions which were of interest to me in a few days. (Again, I skipped entirely over the recipe sections). But what I felt was lacking was a sense of joie d’vivre that Mrs. Seely’s book encapsulated where Mrs. Beeton’s feels like a chore list. So, if you’re wondering about the time period and how a house was or should have been, then give it a read, otherwise I say no. Another in the list of historical reference materials and this one has the added benefit of being a reference in its own time period! The height of domestic service coincides with the Gilded Age, 1880-1920, roughly. In that time a housewife who got into the business of Intelligence Offices (that’s employment agencies for domestic staff) wrote what would become the standard in what to expect and what was appropriate for domestic staff positions of all stripes. 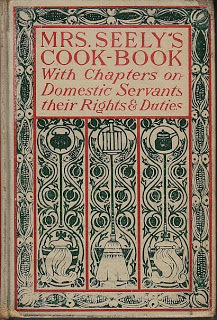 While Mrs. Seely’s Cook Book is a cookbook with recipes of the time (which is the classic gallery of regrettable food) it is also a manual of household management at the turn of the last century. Published originally in 1902, (the copy I read is a reprint from 1984 with an introductory essay entitled Housekeeping in the Gilded Age by Shirley Abbott which itself is full or fun information about the time period), Mrs.Lida Seely explores the expected relationship between staff and employer, the job responsibilities of all staff in a household – running the gamut from cooks, to butlers, to scullery maids, to coachmen and the running of meal service both for family and a dinner party. She also lays out the Don’ts for both employer and staff with such practical advice as “Don’t blame servants for every fault or mistake and then leave good service unthanked” to go with “Don’t spend your time comparing the ways of one mistress to those of another – each one has a right to her own rules in her own house”. At this point in the book, approximately 70 pages in, Mrs. Seely gets into the recipes and the required tools of the cooking trade which make up the lion’s share of the book. What is perhaps the best aspect for me of this book, and perhaps to anyone with an interest in the running of the large estates exemplified by the Downton Abbey series, is that this book was written to place employers and employees on the same page about the realistic expectations of the work. And in so doing, provides the interested parties of today a portal to see what was actually happening, or could be expected to be happening, in a home with a staff – whether it is staffs of 1 or 2 or over a dozen live in servants at the height of the Gilded Age. The other bit of knowledge that I wished I had as I was learning to shop and cook for myself are the chapters on selecting meats and vegetable as well as the standard proportions of cooking and general advice. While many of the recipes as I noted above would no longer appeal to the modern palate (mousse of fish anyone?) the cooking basics are still of use to the modern cook. When Tony Perrottet heard that Napoleon’s “baguette” had been stolen by his disgruntled doctor a few days after the Emperor’s death, he rushed out to New Jersey. Why? Because that’s where an eccentric American collector who had purchased Napoleon’s member at a Parisian auction now kept the actual relic in an old suitcase under his bed. The story of Napoleon’s privates triggered Perrottet’s quest to research other such exotic sagas from history, to discover the actual evidence behind the most famous age-old mysteries: Did Churchill really send condoms of a surprising size to Stalin? Were champagne glasses really molded upon Marie Antoinette’s breasts? What was JFK’s real secret service? What were Casanova’s best pickup lines? 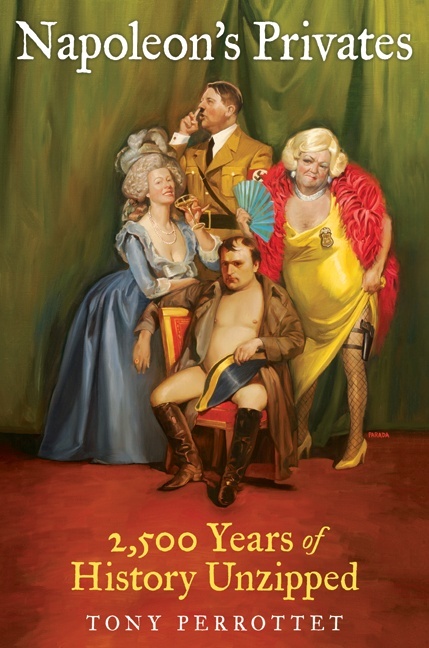 Napoleon’s Privates is filled with offbeat, riotously entertaining anecdotes that are guaranteed to amaze, shock, and enliven any dinner party. This one was a Christmas gift, but not a CBR5 gift exchange one, so Alli is totally off the hook for this one. A friend got it for me as a joke, and I laughed almost uncontrollably when I unwrapped it. She thought she was giving me something that was going to collect dust on a shelf until it got passed around; I started reading it as a palate cleanser pretty quickly after receiving it. Napoleon’s Privates is set up like many a popular history book you’ve seen at your local book peddler. It’s a series of very short stories, with resources of information listed at the end of each 2-4 page entry, about various topics loosely hung around a central topic. This book’s central topic: the taboo goings on of our erogenous zones. And some other just regular taboo things as well. There were some things I already knew (the history of the condom) and some things which had previously escaped my notice (apparently there’s a theory running around that President Lincoln was gay) and lots of things that will certainly come up, as promised, at any dinner party I might attend. Because I have those kind of friends. So, if you’re looking for something to read quickly and fill you with well researched tidbits, I say give this one a read. 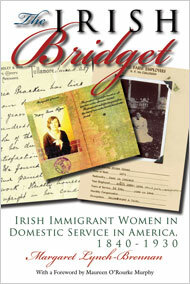 “Bridget” was the Irish immigrant service girl who worked in American homes from the second half of the nineteenth century into the early years of the twentieth. She is widely known as a pop culture cliché: the young girl who wreaks havoc in middle-class American homes. Now, in the first book-length treatment of the topic, Margaret Lynch-Brennan tells the real story of such Irish domestic servants, often in their own words, providing a richly detailed portrait of their lives and experiences. Many of the socially marginalized Irish immigrant women of this era made their living in domestic service. In contrast to immigrant men, who might have lived in a community with their fellow Irish, these women lived and worked in close contact with American families. Lynch-Brennan reveals the essential role this unique relationship played in shaping the place of the Irish in America today. Such women were instrumental in making the Irish presence more acceptable to earlier established American groups. At the same time, it was through the experience of domestic service that many Irish were acculturated, as these women absorbed the middle-class values of their patrons and passed them on to their own children. If you’ve been following along with my reviews so far this Cannonball, you’ll know that I’m researching Irish immigrant domestic servants at the moment, and have been going back and forth between reviewing a book for me and a book for work. Review Six brings us squarely back to work. The Irish Bridget: Irish Immigrant Women in Domestic Service in America, 1840-1930 by Margaret Lynch-Brennan should have been perfect for me. It’s the right topic, the right time period, and is a scholarly work. In many ways this is exactly what I needed, because it breaks down various aspects of a typical woman’s experience and provides primary source documentation about what was being experienced from interviews, personal correspondence and other ephemera. My problem is that this work, which in its synopsis is credited as being the first book-length treatment of the topic, does not analyze the information it presents. The most glaring example, to me, in explaining the relatively high English literacy rates amongst Irish women, the culture of education in Ireland, and the prevalence of correspondence across the Atlantic, Ms. Lynch-Brennan does not discuss that in large part the increase in English literacy at the cost of Irish language literacy was influenced by the refusal to teach the language in the National Schools while the country was under English rule. It’s this lack of nuance which permeates the book and eventually had me skimming through the last fifty or so pages just to get some additional information and be done. It also didn’t help that many sections seemed to devolve to a list of quotes in paragraph form to substantiate the author’s point. There’s a way to do that where the writing flows naturally and is entertaining while also informative, and sometimes Ms. Lynch-Brennan nails it, but far more often she falls short. Now, don’t get me wrong, if you are looking for an introductory book on the topic it’s not bad. But it just annoyed me too much to get anything above 2 stars, because I’m picky.